You are all cordially invited to partake in 2 upcoming educational opportunities unlike any other.... the FIRST is an intense 2-day course designed to teach the "tricks of our trade"... when it comes to entertaining... or what we like to call... "Haunter-taining" the innocent patrons who visit our locations each season... The SECOND is a full day class that will be presented at MIDWEST HAUNTERS CONVENTION in Columbus. I would like to take this opportunity to share some very valuable industry news and education information and invite each of you personally to join us for these premier educational opportunities. The year 2008 is definitely a period of economic challenging times for any business and that includes the Halloween business. The long term forecast for this October will be one of continued shrinking budgets for the average American family with gas, utilities and food costs expected to continue to rise. Taking all this into account... it is MORE important than EVER to make sure your haunted event is the BEST it can be... meaning giving the customer "the best bang for their buck"! Patrons will be spending their entertainment dollars carefully... so prepare your staff to be the VERY BEST! 2-day intense course will be held for actors and haunted house owners. This course is specifically designed for current working actors who already have at least the basic industry knowledge for acting in/at haunted events. The one true purpose of this program is to create a superior professional level of customer entertainment. In-depth class demonstrations on make-up & acting, interactive participation programs, and a specific course booklet are but just some of the scheduled parts designed to give everyone the essence to become GREAT HAUNTED PERFORMERS! Please note: This inaugural class will have the distinction of being immortalized on a Shutter Productions DVD that will make history and be one of the best Haunted House acting tools in the industry. Class size is limited to 30 haunters. Full payment is required to hold your spot in this course. Overnight lodging is available at the Fremont Days Inn at a discounted rate of $59.95 plus tax (Call 419-334-9551 and must mention Haunted Hydro discount). The class already has 11 paid participants. We do accept payments via credit card (Visa and Mastercard), Money Orders or checks turned in one week prior to the course. This is a professional style business program carefully developed specifically for the haunt industry. With over 50 years of combined knowledge by 2 of the very best and well-known leading industry representatives Geoff Beck and Crazy Bob Turner. I strongly encourage every haunted house owner to send at least one qualified actor to this unique training course so that we may all continue to better our staff and reputation of our events. HAUNTERTAINER UNIVERISTY - "HAUNT U"
INCLUDES - 2-Day course, informative class booklet, graduation certificate, continental breakfast, 2 lunches and soft drinks and a course DVD produced by Shutter Productions. TO REGISTER - email us at hauntedhydro@sbcglobal.net for a registration form... remember... class size is limited and the "early bird... get's the SCARE..."
* Participants from this class will be selected to do a HAUNTERTAINER performance for the Saturday Night Costume Ball at Midwest Haunters Convention - June 14th. Finally a course designed FOR Haunted House Actors BY the people who understand the needs of our industry and the wants of our patrons. CRAZY BOB TURNER - Veteran industry speaker for IAAPA, Transworld's National Halloween Convention, Midwest Haunters Convention, Haunt editor for Tourist Attractions and Parks Magazine, past President of IAHA and 19 year Haunted House Owner/Operator of the Haunted Hydro Dark Attraction Park, Fremont, Oh. TOPICS WILL INCLUDE: Themed costuming, Appropriate styles of makeup, Spontaneous dialogue, Proper evaluation of those you are entertaining, Variety of scare techniques, Usage of props, Timing is everything, Clarity of speech, plus tone and usage of vocal cords, Sound equipment to enhance your performance, Continuity and continued development of your character and Safety training for your event and yourself. 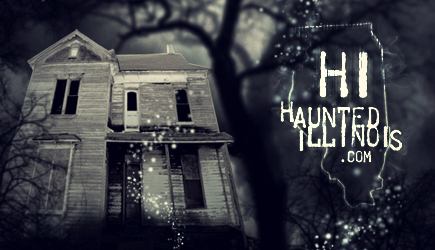 THIS IS AN INTERACTIVE EDUCATIONAL CLASS FOR EVERY STYLE OF HAUNTING. Save $10 - Confirm your reservation for the May 3,4 event by Monday, April 28 and save $10.00!